Hey, Seeker-villagers! Erica Vetsch here. I am thrilled to host my good friend, Georgiana Daniels, on the blog today. 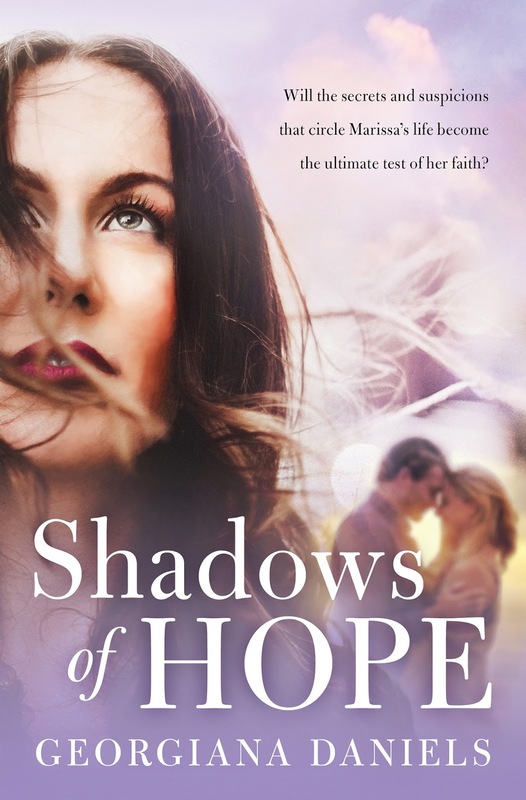 Georgiana has a brand new book out called Shadows of Hope, and as someone who has been privileged to read it, I can say, you will not walk away from this story without taking a hard look at your faith and asking some hard questions about what you would do if you were in her characters’ shoes. Georgiana and I have been on this writing road for more than a decade together. We met on the blog circuit, noticing that we read and commented on the same blogs, and struck up a friendship. We joined a critique group together, and we laughed and cried and cringed and celebrated our friendship and our writing, even after we no longer critiqued each other’s work. 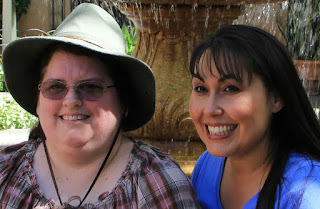 Georgiana and me in Sedona, AZ. Georgiana: First, I want to say how much I appreciate getting to hang out with you lovely ladies today! Much has changed since the last time I was here, but the warmth and friendship are the same. You’re all the best! 1. What is the one thing you remember about when we roomed together at the ACFW Conference? G: It all depends on which time. The first time we roomed together, the thing I will always remember is when we both realized we felt the same way about something but we’d each been too chicken to speak up. Then we roared until big tears—oh, the tears—were rolling down our faces! That’s when I knew I had a friend for life. I do hope we can room together again one day! There’s much more trouble to be had. E: I remember rooming in Dallas together and getting absolutely NO sleep! We talked and talked and talked and then it was suddenly 3 am! Then we’d be up and at ‘em by 7 the next morning, and do it all over again the next night. And the last night was the night of the ‘sick out’ by American Airlines pilots, and we were on the phone at 5 am trying to get you a flight home! I think we maybe got 12 hrs of sleep the entire weekend! 2. What song is most likely to get stuck in your head on continuous loop? G: Whichever song is featured in our youngest daughter’s latest play. Currently “I Like to Move It” is on my mental loop, and now I’m convinced that I do, in fact, like to move it. On a sad note, it’s not such a good song for when I’m reading historical novels…it doesn’t match. Do you ever get ear-worms that don’t match what you’re reading? Pure torture! On no…there it goes again! What have you done to me? E: LOL! You’re welcome! For me, it will be a song I only hear part of in a store or in the car on the radio, and I have to go to Youtube and listen to the whole thing before it will get out of my head!!!! At the moment, it's Ed Sheeran's Perfect. Sometimes it's Passenger's Let Her Go. Obviously coffee shop music features largely in my life. 3. What is your guilty pleasure tv show? G: Ancient Aliens! I once asked on Facebook if it could be used as homeschool history with the caveat I was asking for a friend. I get the feeling people knew it was for me. So yeah, the truth is out there. I was asking for me. Because Mondays. E: My guilty pleasure tv show used to be Survivor, but now, thanks to another writing friend, it’s The Amazing Race. We watch it at the same time and text each other our impressions. What is it about that show? I usually wait a couple weeks to get to know the players, then pick my team. And I also pick the team I like the LEAST…who inevitably seem to win. Obviously, I need to watch several more seasons so I can perfect my technique! 4. What is your favorite memory of fourth grade? G: It certainly wasn’t my bell bottom pants! The sad thing is, I’m having a really hard time remembering 4th grade. How embarrassing is that? Let’s see…I had just had a baby sister, just changed schools, and had ginormous cheeks. I’m going with baby sister. E: A baby sister is a cool thing to get in 4th grade. My favorite memory of 4th grade was when Mrs. Cunningham stood in front of the class and asked who had ‘accordion-pleated’ the filmstrip? And she unrolled a beautifully zigzagged roll of plastic. Someone had sat in the back of the classroom (where we were allowed to watch filmstrips…with the accompanying red plastic square record as long as we had our work done and wore the headphones) and frame by frame folded the filmstrip into a little stack. …There went our filmstrip privileges for the rest of the year. FYI, it wasn’t me! 5. What fashion trend do you wish would return? G: The 80’s, the 80’s, anything from the 80’s! Except those Richard Simmons shorts. Those were a bad idea. But what I really miss is having giant hair! Did you have the big bangs that curled over your forehead like a tsunami? Man, I sure did. I was really tall in the 80’s. E: YES! Bring back the giant hair! I rocked those bangs, and the big curls, and the side-ponytail. And the banana clip. If we could only bring back the banana clip…I still have big hair, even without the hairspray and hot rollers of the 80s. As my son likes to say, “Mom, sometimes your hair OWNS you!” He's such a brat. lol! 6. Salty or sweet snacks? E: Ha! Ha! Salty? You? No!! Is it wrong of me to say both? I love mixing my snacks…M&Ms with potato chips, Raisins with peanuts. That’s probably why I like Kettle Corn so much! Anybody else like mixing their snacks? 7. Favorite thing about church? G: Aside from the obvious—GOD!—I love being with His people. Is there anything more wonderful than fellowship? We can see how much He loves us by the people He gives us to journey with. E: YES! Me too! The people! My little church has the most hilarious, generous, fun people who love Jesus and want to be more like Him. Also, at least one hysterically funny thing happens every week at church, which has us rolling and keeps things lively. What more could you ask? G: I’m supposed to have a talent? Now you tell me! Evidently it’s a well-kept secret, even from me. But here’s something few people know: I was 2nd runner up in the 1990 Miss Arctic Circle Pageant. For the talent competition I played the piano. I want to say it was a Chopin piece, but I’m certain that if it was I didn’t do it justice! I was never that good and only played for fun. I was always better at clarinet, and when my kids are getting salty they call me Squidward. E: Cheeky girls! LOL! I had no idea about any of that! Miss Arctic Circle? Piano? Clarinet? Where have you been hiding these facts??? I want a picture of you in a pageant with tsunami hair! My hidden talent…hmmm…is it possible that I’ve asked a question that I have no answer to? Okay, I’ll fess up to being able to play the piano. I took lessons for 10 years, and I learned to play Beethoven, Chopin, Bach, Rachmaninoff, etc. But I never learned to play hymns. I’m scared someone will ask me to play in church sometime! 9. What unpublished story do you have in your stash that you really hope sees the light of day someday? G: Ooooo, I love this question, but it’s tough to answer because there are just so many—unpublished stories, that is. Plus I’ve tried All The Genres. 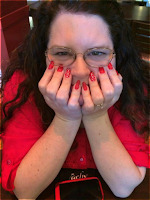 You’ve read most of the stories, I think—chick lit, suspense, romance. I’m going to go with Honey Do, Inc. because I like how the heroine didn’t figure out which man she was truly in love with until the end. Or maybe Shadows of Alaska where no one (including me!) knew who the villain was until the end. Wait….I’m sensing a theme. E: Um, yes, that used to drive me crazy…I kept thinking “How can she be so adept at keeping readers in the dark about who the bad guy is, or who the heroine will chose?” And all the time it was because you didn’t know yourself!!! FYI, Honey Do, Inc. is my favorite! For me, my unclaimed treasure is Drums of the North Star, a story set in Minnesota during the Dakota War of 1862. The hero is a missionary to the Dakota, and the heroine is his fiancée, and when she’s kidnapped by the people he’s come to serve, he has to decide if he’s out for revenge or repentance. 10. What one piece of writing advice to you have for those seeking publication? G: Run for your life! Mostly kidding….but be ready for all the hard parts. When it came to being prepared for the hard parts, I was clueless. In light of that, my real piece of advice is to write because you love to write, not only because you’re seeking publication. Also, pursue other areas of interest that will grant you immediate success. It’s good to have something that will give you a quick win on days where writing isn’t going as planned. For me it’s knitting. I can make things—pretty things, all the things—even when my writing life gives me a swift kick. E: Excellent advice! I would add, build your community of support. 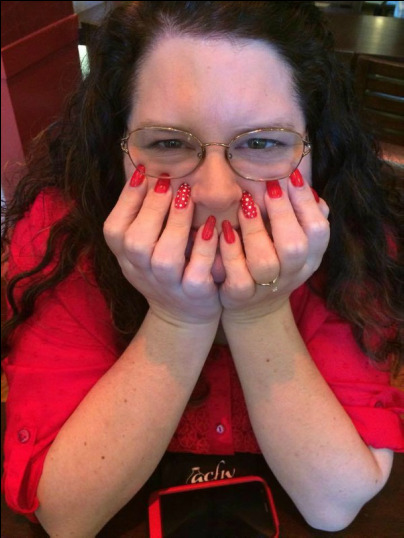 Without my writing friends (like YOU, Georgiana!) I don’t know if I would’ve had the fortitude to keep on in this business when things got hard, or gotten the information I needed to make some choices, or been able to celebrate successes with people who really know what the writing journey is all about. 11. BONUS QUESTION: What are some words or phrases that you have USED TO DEATH in a manuscript, that your critique partner had to cull for you over and over??? G: Apparently I have chosen to block it out! For some reason I can remember other people’s really well: leather (cough, cough), peered (cough, cough). Oh, wait! In Shadows of Hope I seemed to have a penchant for the word “peeled.” Everyone was peeling things, like Tristan peeling the glasses off his face and such. Thankfully it was caught and changed. Mostly. E: LOL, Leather! Yep, that was me. Everything was leather…leather buggy seats, leather blotter, leather wing-back chairs…Okay, peered was mine, too…Everyone was peering into, over, and around everything! LOL I seem to choose a different pet word or phrase for each story I write. It’s so funny later, but when I get edits back, I am smacking my forehead and wincing! Thanks for visiting with us at Seekerville today, and for letting me put you through this ridiculous interview! :) Such a good sport! Georgiana: Thank you so much for inviting me to Seekerville! I have long admired you lovely ladies. And this is the most fun I’ve had in a long time! So, there you have it, the silliest, most fun interview format ever. Now it's your turn! Leave us a comment and you’ll win all the virtual prizes, PLUS you'll be entered to win a copy of Shadows of Hope for yourself! 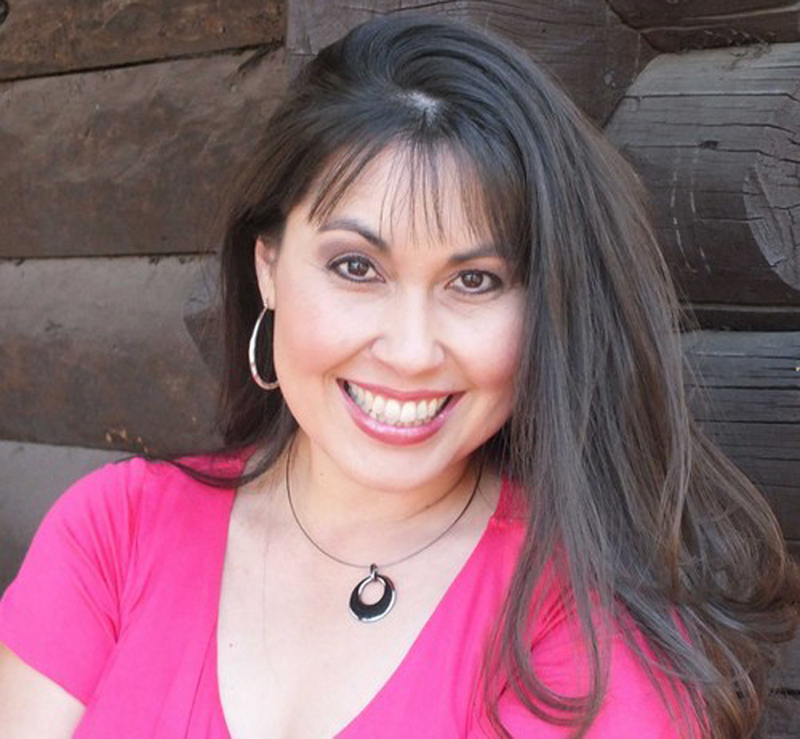 About the author: Georgiana Daniels resides in the beautiful mountains of Arizona with her super-generous husband and three talented daughters. She graduated from Northern Arizona University with a bachelor's degree in public relations and now has the privilege of homeschooling by day and wrestling with the keyboard by night. She enjoys sharing God's love through fiction and is exceedingly thankful for her own happily ever after. If you absolutely can't wait to get your hands on a copy, you can purchase your copy by clicking HERE. First, do we get to kill the husband? Because I'd be okay with that. But then the 10 Commandments get in the way, so then I have to dig deeply into scripture and find RETRIBUTION verses... Professors and co-eds hit a deep note up here because of a huge scandal at the University of Rochester... and the university did nothing to smack down the professor because he didn't "technically" break any of the rules that existed at the time... although multiple affairs with students. That wasn't what we wanted to see the university gain fame (infame!) for, of course. What a crazy world..... And Georgianna (what a great name!) how brave and wonderful of you to delve into this! I love going deep and readers love it, too.... so you've got my vote on that. And you two are a hoot! I vote a draw, a tie, and you're both stinkin' adorable! Believe me, I SO wanted to kill the husband. Writing his POV was an interesting challenge because I couldn't believe the things he was thinking! Morning, Ruthy! Isn't Georgiana BRAVE to tackle these subjects and to write from the husband's POV? :O :O :O :O :O !!!!! Oh my, Georgiana. You pulled out all the stops with this book. It sounds AMAZING. And like it would involve at least one box of tissues. You wore that WHAT IF question out. So how are ya, girlfriend? Still loving Chino Valley? What can I say about life in Chino Valley? After the time a goat followed my hubby home from his run, I knew we could expect, literally, anything. LOL! We move into our (hopefully) permanent home next Monday. Woot! I can't wait to see you again. You are coming to Nashville, right? I loved the goat story. #ChinoLife should be trending always. Not long ago my parents unearthed my 11th grade school picture and stuck it on their refrigerator, which elicited laughs, chortles, and guffaws. Then it disappeared. I do not know what happened to it. Welcome back, Georgiana! Seems impossible that it was in 2013 when I "hosted" you in Seekerville when your "A Daughter's Redemption" released! Where has the time gone? Congratulations on your latest--Shadows of Hope! It sounds intriguing! Where *does* the time go? It's great to be back! When my hubby came home and said he was getting transferred to Chino Valley, I said, "Is that even a thing? Who gets transferred to Chino Valley?!?!" Once we got down here, I realized that small town living is kind of nice! Loved the interview and especially the tip about doing something that you can gain a small win on while waiting for the bigger one as you write. Thanks bunches!!! Going for the small win has carried me along many, many times. It's when I've gotten hyper-focused on my writing goals that life tilted out of balance and led to losing peace. I love how God brings us back around! I liked that piece of advice, too! There is so much about this writing life that is out of our control, finding something to be positive about and get a win keeps you going sometimes! That's the ticket right there--the fact that so much IS out of our control. I love how God works through this whole writing life to make us more like Christ. Even if I never get another contract, God will be working His purpose through all of this. I love how you never quit on your dreams, but you hold them lightly, so God can change them if He wants. Georgiana, Had to chime in with congratulations on your book. I recall when you were simply one of the "team," working with me on trying to keep things going in the right direction on the ACFW loop. Now I can say, "I knew you when." Blessings. LOL! Yes, there is such a thing as over-sharing. Stories must be carefully chosen :D Seriously, connecting with Erica has been one of the big blessings of my life! I love that God shows us His love through others. lol! Missy, we were so tired, we were slap-happy, but it was so worth it! :) Georgiana has been a gift to me! Missy, it sounds like you need a sign-up sheet for roomies because you're trouble--er, fun! LOL! Big hair: I don't have big hair, but I have really, really long hair, and my 2 yo granddaughter likes to play with it when she's being rocked. We were acting silly last week, and I said something about Pammy's hair being long. And she kept saying "Yu hab BIG hair." And who had the best answers: Sorry, it's a draw! Y'all both did great. Your hair is so beautiful, Pam! There's something about long hair that kids love to play with, and I kind of miss that. We're in that in-between phase with kids too old to "play" with and we don't have grands yet. Someday!!! I love your long hair, Pam. When I was little, I always wanted long hair, but mine was so...THICK...my mom kept it short. It would've taken us all over otherwise. My 2nd daughter played with my hair while i rocked and nursed her. It drove me CRAZY. In fact I think that ended being my only short hair stage of life. I dont' think I cut it off until she was weaned though. Now both of my girls who are moms wear a specific necklace for the baby to play with. They invented that. It probably was me!!! And the fact that i have no idea what I did means, I'll probably do it AGAIN!!! 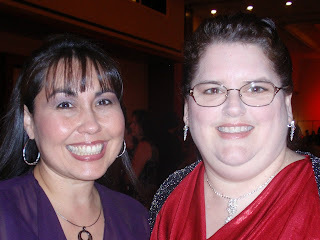 Karen Sargent, congratulations on winning the Christian Indie Award for Fiction!! Woo hoo!! And also Davalynn Spencer for Romance. Oh, and Amber Schmel for Historical Fiction!! 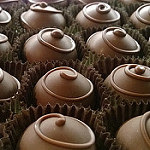 Did I miss anyone else out there who visits the blog? Be sure to holler if I missed you! Oh my, I may be wiping a few tears of laughter away after reading this uber-fun interview. First of all, Georgiana, congratulations on your newest book. What a unique premise! I want to read this. Secondly, you two cracked me up. So, my question(s) to answer...my fourth grade year was hard (as were 3, 5, 6) because I was the target of bullies. BUT, I do remember being the only kid in class to get a question right on a science test. And, I felt pretty good about that. I love sweet and salty snacks. And, I loved the writing advice to have projects you work on that have quick "success" indicators. For me, that's photography. I love snapping a picture that makes my heart say, "Awwww. Wow! God is amazing!" LOVED your interview answers, ladies. As far as I'm concerned, you both tied. Excellent responses! I also meant to say I choose salty. But I also love sweet/salty combo! Salted caramel is one of my favs. Photography is wonderful! To be able to look back on a special moment is a joy, especially those moments with treasured friends/family. I love the results of great photography, though I don't possess any great skill there. I love giving my camera to my son when we're out someplace and then discovering later what he thought was interesting...I've been doing that since he was a little kid, and I am always surprised by his view of the world. That's a great way to think of it--seeing what's interesting to someone you love. I remember how your hubby wanted to take the Grand Canyon photos in all the different phases of light for the day. He's contemplating a return to the Grand Canyon...which I am totally in support of, so I can come experience #ChinoLife! Experience it in all its glory. LOL! I wish I had time to read all the comments! I'll try to get back later today. But it is great to see Georgiana here! LOL, we slay us! :) Just follow the hysterical laughter and you'll probably find us! I love the laughter. You had me giggling. Georgiana, congrats on your novel. Heavy premise but I know the story is so, so good! Each book I write has a favorite word that I keep using over and over again. So grateful for revisions and savvy editors who spot my repetition. Shrugged has been one of those words. My characters shrugged into and out of everything. Sort of like your peeled! So glad you could be with us today, Georgiana! LOL,shrugged--it's so funny what our brains subconsciously fixate on. I've probably overused that one too. OH, that reminds me that I had a bunch of characters winking before I did the final edit! As I read through it, I'm like, man that's creepy. Quit winking! Wink, wink, Georgiana!!! I haven't used that yet. Probably will when I go back to my WIP. Turning to wink at you, Erica! I will make this suggestion which I feel is also an "Oh, no!!!" I would have the two women, become best of friends, swear off men forever and have them marry each other. This would be in the Shadowlands of edgy fiction, I know; however, there is a twist. The two women are not gay but they like the economic and legal advantages that marriage provides them and their child. The husband, by the way, is devastated when the community learns that the two women he was having relations with both turned gay. Actually this might have to be a comedy or a cozy mystery. I think it could make a great Broadway play given the "MeToo" movement and the state of PC. Wow, that would certainly set Christian Fiction on its ear...If I read that story, I am sure it would be through my fingertips, wincing at the predicament the characters have gotten themselves into through their choices. Vince, you are even more brave than me. LOL!!! Carrie, I totally agree! Geo won the interview with that sentence alone! You've spotted banana clips? Oh, man--I must be shopping in all the wrong places ;) I think there should be a store for 80's fashions, LOL! Hope you enjoy Shadows of Hope! Loved this interview! It was fun! You two sound completely comfortable with one another and fun! Shadow of Hope sounds like an emotional roller coaster! Now as far as the questions, you both did amazing. How can one pick anyone who did better. I must say I am in agreement on never bringing back the Richard Simmons shorts! Other than that though, I still totally miss so much about the 80s. I feel like my mom because I am convinced that was THE BEST OF TIMES. :) I too rocked some serious 80s hair. :) Thanks for the fun! Weren't those Richard Simmons shorts awful? LOL! But I watched the show all the time with my grandmother when we were together, so it's all good memories. I actually miss the 80's too, but of course my kids give me a hard time. One of them actually says, "That may have been the way you did things back in the 1900's...." LOL, that stinker. Remember Sweatin' to the Oldies? LOL They could play any song we loved from the 80s and it would be considered an 'Oldie' now. Such a cute interview, ladies! Oh yes, and I keep saying bring the 80's back as well because like Erica, my hair "owns me" as well! LOL! Kelly, you have my sympathies! I didn't put any product in my hair yesterday, and yup, today, it's owning me! Loved the interview and it made me think back to fourth grade to see what I remembered. No baby sister for me but I remember Miss Bazak. Not a fan. She divided the class into Group A and Group B. Group A were the "smart" ones and subsequently, her pets. I was in Group B and that was my first experience (that I can remember) with being labelled. Oh, man--that stinks! Our teacher had us come up with group names for that very reason. I think I was part of the tricycles. I have an article somewhere in the Seekerville archives about how I was relegated to the Orange Rhombus table (where all the un-cool kids sat) in Kindergarten, and it set me on my way to being a writer.